When we say wireless, we really mean it. 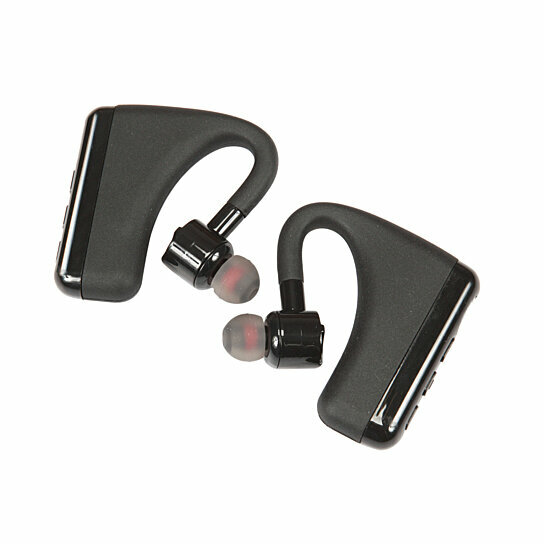 We are proud to launch the Wireless Bluetooth Sport/Fitness Earphones. We use the most cutting edge bluetooth technology paired with quality precision craftsmanship to create one of the smallest and most lightweight earphones possible. These earphones are ergonomically designed to sit comfortably in and around your ear so you can go for a jog, hit the gym, or do your daily commute without having to worry about them falling out. Each earphone has its own speaker, bluetooth chip, battery, and mic so that they can work independently or when paired together.